The Change School Created a Diverse Team? What Next? Created a Diverse Team? What Next? The very essence that fuels innovation within your diverse team, left unmanaged, can cause impairments to collaboration and communication. We take a look at what happens after you’ve brought diversity into your workplace; the advantages, potential problems, and the steps you can take to leverage the value of differences. Diversity in the workplace is the variety of staff across demographic variables including gender, ethnicity and age. However, diversity is no longer just about demographics – the focus has shifted towards accommodating different values too (2). More and more businesses are responding to both legislative and societal pressure by investing in formal diversity pledges, with Google recently reporting that it will be investing $150 million in diversity schemes in 2015. When it comes to Singapore, last year firms displaying diversity in their workforce performed nearly five times higher than those without diversity (3). Diversity has been found to not only correlate with high performance in the business environment, but to be a causal factor in enhancing creativity and innovation (4). 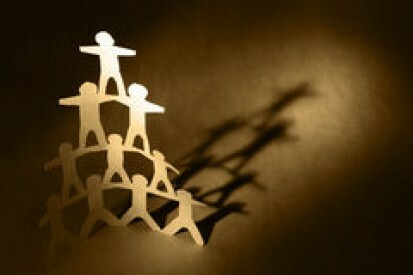 Despite its many business advantages, implementing the concept of diversity unsupported is not enough... 87% of companies say that workplace harmony is essential for business outcomes and it is clear that you cannot fill a room with people of polar opposite views and backgrounds, expecting instant collaboration. Research has supported this notion, with Horwitz & Horwitz (5) finding ‘no discernable effect of team diversity on social integration’. Assimilation has been described as one of the key reasons why diversity policies do not always yield the desired results (1). It has been explained that diverse team members are often expected to assimilate into a predefined corporate culture without an integration program. Differences between different diverse employees are ignored. New information, opinions and perspectives are neglected. What makes diversity such a positive force in business is the different perspectives represented by a diverse team, so how can you take steps to ensure team members are collaborating in the most effective way? Make embracing, cultivating and celebrating differences a part of your organization’s vision. Leverage and value different perspectives by encouraging your team to speak-up with alternative view points. Introduce the concept of cultural intelligence (CQ) to your team to bring about awareness of personal abilities to interact comfortably with different cultures. Increased CQ can also help managers and team members address sensitive cultural issues and become conscious of their own biases. Use the Culture Chameleon (7) approach to help your team learn their own colors (cultural preferences), the colors of alternate cultures and skills to adapt. Be mindful that this may be the first time some of your team members have had any interaction with someone from a particular demographic group. It is important to create a relaxed environment outside of formal meetings where your teammates can get to know each other. Remember that for some cultures, activities outside of work may be especially important – for example for foreign workers in Korea ‘…being involved in activities outside of the work place with colleagues was vital to communication’ (8). 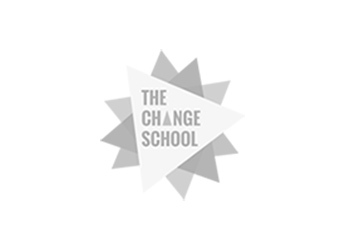 The Change School has a number of bespoke programs for diverse teams. We help you create and promote an inclusive vision, guide you through our Culture Chameleon approach and create a fun and relaxed environment designed to aid vital bonding and understanding across diverse perspectives and backgrounds. More about Josie: Driven to understand and bring together different cultures, Josie loves to meet people with a passion for change. Having had exposure to start-ups, non profit firms, government agencies and multinationals across the world, Josie enjoys learning about what motivates and drives people through different life paths. She loves to dive, run and horse-ride her way across the globe. Building an Inclusive Diversity Culture: Principles, Processes and Practics, (2004). Pless & Maak, Journal of Business Ethics. Values-based diversity: The challenged and strengths of many, (2014). The Economist Intelligence Unit. How diversity makes us smarter, (2014). Phillips, K., Scientific American. The effects of team diversity on team outcomes, (2007). Horwitz & Horwitz, Journal of Management. Discussion of shared and unshared information in decision-making groups, (2012). Larson et al., Journal of Personality and Social Psychology. The Culture Chameleon Approach to CQ, (2015). The Change School. The struggles to communicate among diverse work teams in Korean Companies, (2015). Nelson, C., A., Review of Integrative Business & Economics Research.